Midday host Ray Martin was awarded the Gold Logie for Most Popular Personality on Australian Television at the 29th annual TV Week Logie Awards, held at Melbourne’s Hyatt on Collins Hotel on Friday, 3 April 1987. Martin also scored a second Logie – for Most Popular Personality in New South Wales. The awards presentation, broadcast on Network Ten, was hosted by Don Lane (pictured) and featured special guests Dame Edna Everage (Barry Humphries) and overseas stars Loretta Swit (MASH), Leeza Gibbons (Entertainment This Week), Brian Dennehy (in Australia for a role in the film The Man From Snowy River II), Harry Hamlin (LA Law) and his wife, actress Laura Johnson (Falcon Crest). The evening’s proceedings came after what was probably a very anxious afternoon for many interstate attendees, as two flights from Sydney were rescheduled and one developed mechanical problems. Good Morning Australia co-host Gordon Elliott made it on time – but his luggage didn’t. He ended up at the awards wearing a borrowed bow tie, business shirt, check trousers and a pair of sneakers. Among the award winners, it was a big night for Network Ten drama Neighbours. The series, which had made the bold move from Seven only a year earlier, scored five Logies – Most Popular Actor (Peter O’Brien), Most Popular Actress (Kylie Minogue), Most Popular New Talent (Jason Donovan), Most Popular Drama Series and Most Popular Program In Victoria. Seven Network mini-series Sword Of Honour took away three Logies, including individual awards for Tracy Mann (pictured) and Andrew Clarke. Melbourne’s Eyewitness News (ATV10) scored an industry-voted Logie for Most Outstanding Achievement In News for its coverage of the Russell Street bombing in Melbourne’s CBD in March 1986. Within minutes of the tragic bombing that claimed the life of a young policewoman, Ten was reporting live from the scene and continued to present updates during the afternoon and had compiled a thorough coverage for its 6.00pm newscast. The Logie for Most Outstanding Single Documentary Or Mini-Series was a draw between two medical documentaries – The Greatest Gift (Nine) and Handle With Care (Ten). The Greatest Gift, presented by reporter Elizabeth Hayes, covered the topic of heart disease and followed the story of two men undergoing heart transplant surgery. Handle With Care was a docu-drama, directed by AFI award-winner Paul Cox and featured Monica Maughan and Anna-Maria Monticelli as women diagnosed with breast cancer and followed the progress of their respective treatments. The ABC news special Coup D’Etat won the Logie for Most Outstanding Achievement In Public Affairs. The program, presented by veteran journalist Peter Couchman (pictured), presented a world exclusive as it followed the political crisis in the Philippines which saw the end of Ferdinand Marcos’ regime and the swearing in of new president Cory Aquino. Children’s television program Kids Only, a production of Ballarat channel BTV6, was the winner of the Logie for Most Outstanding Contribution by Regional Television. The weekly program, hosted by Glenn Ridge, was commended for its special episode dedicated to summer-holiday safety. And although Kids Only won the Logie, the industry judges also highly commended South Australian channel GTS4 Spencer Gulf for Ten Days In Bay 10, a local re-enactment of the time in 1802 when Matthew Flinders and his crew spent 10 days in the bay later named Port Lincoln. Most Outstanding Single Documentary Or Series: The Greatest Gift (Nine Network) and Handle With Care (Network Ten). NSW: Ray Martin, A Country Practice. 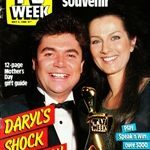 Source: TV Week, 11 April 1987.